Today Comex has officially released the new web-based jailbreak for iOS 4.3.3. It supports all devices including iPad 2. 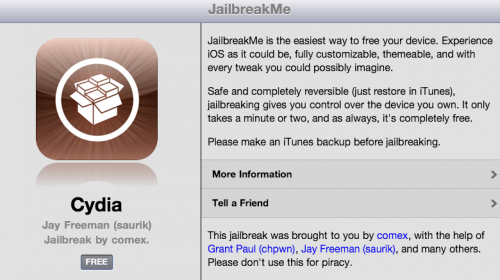 The jailbreak uses a PDF exploit similar to old JailbreakMe and does not require your device to be connected to the computer. To jailbreak, navigate to http://www.jailbreakme.com on your iOS device after updating to iOS 4.3.3 (if you do not need unlock). We will be posting detailed instructions shortly. Gevey has released a new hardware unlock for iPhone 4 called Gevey Ultra SIM. The main difference compared to the old Gevey unlock method is that you don’t have to dial 112. dialing 112/911 and hanging up is illegal in most countries, now this problem is gone. 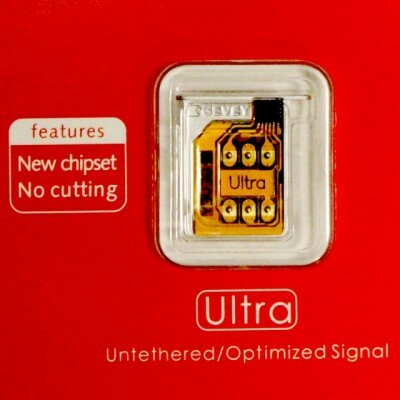 Some sources claim that Gevey Ultra works even with the latest iOS 5 beta 1. If you have 01.59 baseband you can still use free software ultrasn0w unlock. For everything else -- just buy Gevey Ultra for $35 here. The installation is simple, but requires jailbreak. Good luck iOS 4.3.3 is jailbreakable. See our jailbreak instructions here (Mac OS) and here (Windows). The iPhone Dev team has just released PwnageTool 4.3.2 which adds support for iOS 4.3.2. The jailbreak uses i0n1c’s untether, which Apple did not fix in 4.3.2. Ultrasn0w has also been updated to 1.2.2 adding support for the new firmware. You can download PwnageTool 4.3.2 here. Ultrasn0w 1.2.2 is available in Cydia.